Ms. Brandreth leads Tetra Tech’s team of highly experienced research professionals skilled in using the power of data analytics to solve real-world business problems. They deliver insights to business leaders that support confident, informed strategies leading to concrete action. Her team’s analytical expertise is complemented by unique capabilities in research design and data collection, including an in-house survey call center. 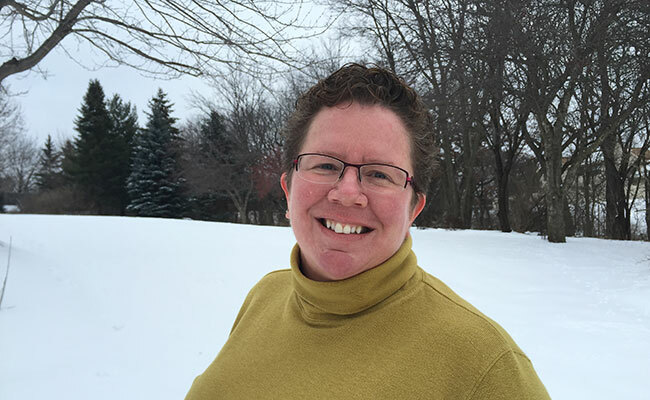 Ms Brandreth studied research methods and data analytics and holds a Master of Science from the University of Wisconsin-Madison. How do you deliver expert data analytics services across such a wide array of business sectors? The key is collaboration. My team provides specific expertise in research methods and data analytics and works alongside our client and Tetra Tech colleagues with experience in the particular market, industry, or business sector. One thing that sets Tetra Tech apart and makes it an exciting place to work is having leading technical experts across so many fields—energy, water, environment, resource management, transportation logistics, aviation, health, and security—which enables us to create effective, integrated teams. We know not only how to manage data and crunch numbers, but also how to develop data and analytics that address specific client questions, interpret results in meaningful ways, and provide useful recommendations. It’s a powerful approach. What exactly is “data analytics” and why has it become such a buzzword? Data analytics is not a new concept. It’s simply the process of extracting information from existing data sets. What has changed is the IT and digital landscape. The sheer volume and variety of data have exploded in recent years. For example, technology now can capture how many steps we walk each day, how much energy our homes are using at any given moment, and how much fuel is used by an idling delivery truck waiting to turn left. At the same time, we can store massive amounts of data and manipulate extraordinarily large data files. Twenty years ago data file sizes were measured in megabytes, then gigabytes became common; now the largest data files are measured in terabytes. “Big data” has become the latest buzzword, and many companies are focused on storing and aggregating data. But an enterprise data warehouse provides zero value on its own. Only when data is analyzed and applied to making better business or operational decisions does it come to life. But isn’t it better to have more data to analyze? Big data can be enormously useful, but is often misunderstood. It is not enough just to have more data. Data accuracy and integration are hugely important, too. Data is a lot messier and noisier than people realize. Most of our time on a data analytics project is spent collecting, inspecting, cleaning, integrating, and transforming data—the hard background work—before we can even start analyzing and presenting it. Ultimately, that preparation enables us to change disordered data into usable information. Rather than collecting the most data, we help organizations focus on finding the right data. Most organizations do not effectively use the internal and external data they already have. We have to understand an organization’s data capabilities and data literacy before we can tailor analytics to their needs. What do they want to understand? Who will use the data? How will they use it? We strive to align the data and create metrics to reflect key business priorities and desired outcomes, and to present analytics in ways that are easily accessible and understood by the organization’s different audiences. Too many metrics or metrics only loosely tied to business priorities can paralyze decision-makers or simply be ignored. Can you give me an example of an industry where data analytics is becoming increasingly important? Energy. Tetra Tech is currently evaluating a number of large portfolios of energy efficiency programs for utility clients. In fact, our researchers have provided the U.S. Department of Energy with critical input on developing uniform methods for evaluating these programs. In our analyses, we integrate data from a wide variety of sources: customer energy consumption data, engineering calculations, market sales information, technical reference databases on equipment efficiency, government census and housing stock records, and program participant and nonparticipant surveys. We use data analytics to determine how cost-effective the programs, measures, and activities are; calculate energy savings; determine the market potential of new technologies; and update energy procurement forecasts. “Demand response programs” are a key tool utilities can use to leverage interval-level data from smart devices. The programs offer incentives to utility customers willing to temporarily reduce their electricity use if demand outpaces supply. Many commercial and industrial organizations are using these programs to take advantage of the significant potential to reduce load during periods of peak demand. With smart meters being installed in more and more homes, demand response programs can be implemented and evaluated on a much larger scale. More detailed data is leading to more sophisticated customer segmentation and marketing of energy efficiency programs and improving our estimates of program impacts. By lowering demand on the grid during peak periods by enrolling customers in demand response programs, utility companies can avoid the costly alternatives of building power generation capacity and buying power on the open market to meet peak loads. That’s a game changer.